Don't you just hate when THIS happens? Have you ever taken one apart and all of the parts fell-out or even more frustrating, the 2 halves wouldn't go back together again? 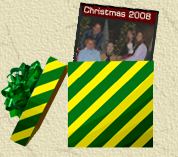 Forget the hassles, we'll take care of this for you for as little as $8.00* per VHS tape! 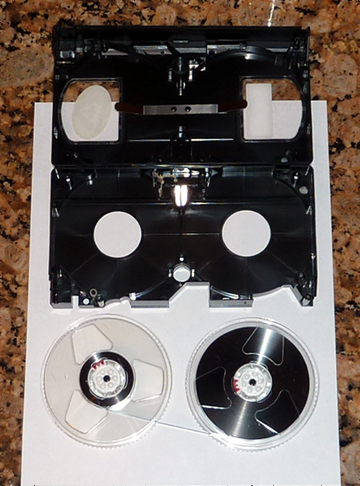 We'll take care of these problem for you by skillfully disassembling your VHS tape, splice the broken tape, and reassemble it. Save your precious home movies or Hollywood blockbuster movies that you love! 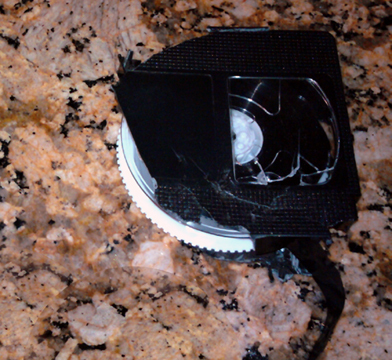 (we can repair ANY VHS tape, but we cannot convert a copyrighted movie to DVD). Inexpensive: starting at only $8 each (plus shipping and handling if you are unable to come to us). Currently, we can only repair Betamax tapes that have snapped, we do not have the inventory to rebuild a Betamax tape. Our Guarantee: Our DVDs are produced on new high-quality national brand DVD-R permanent media. If your DVD player FAILS to play any of our DVDs within 30 days, please return them and we will re-burn it for you on a DVD+R type at no additional charge. Please check your DVD player's ability to play recordable DVDs by clicking: Compatibility. Because the digital material we produce can take several hours per DVD or CD, and has the potential to be copied, we cannot offer money back, but we do make every effort to meet your requirements.